New to this part of the world, I heard that you guys have cryptos and cookies? 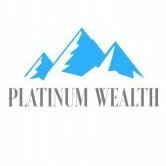 My name is Mike, and I hope to make some positive contributions to Platinum Wealth. I'm a first year BAcc (CA) student with a passion to make and break stuff, as long as I stay green at the end. I hope I fit in. Wait, you guys are talking about money green? With enough money green we can buy all sorts of other green... and white... bricks of the stuff. I think we should build our own White House here at Platinum Wealth. Welcome to the forum, hope you enjoy the stay.